Snoring is a sound caused by vibrations that move the particles of the air, forming sound waves. 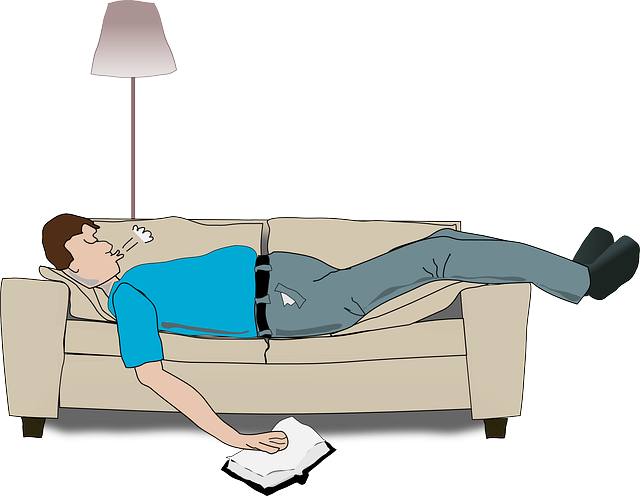 Unlike speaking, singing, and other sounds, snoring is produced without conscious intent by the person. It is one of the more unpleasant sides of snoring. Snoring occurs during sleep, especially deep sleep, when the body is completely relaxed and the sleeper is completely unaware. There are several ways snoring occurs, and several reasons behind it. There are several tissues in the mouth, including the tongue, which can affect normal breathing during sleep. To begin, there are the palatine tonsils. The tonsils help detect infections and aid the human body to fight them. This means that when a person gets sick or otherwise infected, the tonsils will swell to disproportionate sizes to fight the viruses and bacteria that have entered the body. This is why it is normal for a person to snore when they are ill or sick. However, there are situations when the tonsils do not go back to their original, smaller size after the infection and cause snoring. This is an issue that can be taken care of using natural medications. Sometimes, prescriptions and other pills can help reduce the size of the tonsils and take care of the problem. On the other hand, there is the soft palate – a soft tissue that hands down at the back of the mouth. This tissue varies in length and size, and it depends on the body. Some people are born with over sized soft palate, in which case, the best remedy is removal. When the soft palate is too long, too floppy, it will block the airway and vibrate under the pressure, causing the snoring sound. Back from the soft palate is the uvula. The uvula is suspended, and in the same manner as the soft palate, an over sized, overhanging uvula can cause snoring. It is highly recommended to use anti snoring mouthpiece products if you are facing with this problem. Last, but not least, is the tongue. When a person lays the wrong way, the tongue might get tangled up, fall back into the throat and cause snoring. The tongue needs to be free to move in all directions – which is the reason why it is easy for it to fall back into the throat. A large back of the tongue can also block the airways, disturb the airflow and cause snoring vibrations. On the positive side, snoring caused by the backwards movement of the tongue is remedied pretty easily if a person changes their sleeping positions and makes sure to always sleep on the side. People usually want to breathe through the nose, as it is natural. However, when a person’s nasal passages are blocked, it causes discomfort and snoring that can get pretty loud and excessive. The nasal passages can be blocked because of several different reasons: deviations in the nasal septum, sinus infections, turbinates' swelling, allergies and large tonsils in the back of the throat. The most common causes in adults are deviations in the septum and allergic swelling. On the other hand, children often suffer from enlarged tonsils, and their removal is necessary in order to make sure the child breathes normally during sleep. Snoring can rarely be completely cured. It can, at best, be reduced to a normal amount that will not be a hazard to a person’s health and well being. Additionally, the causes for snoring are often easily removed through a change in lifestyle, change in a sleeping position, without the need for surgeries and operations. There are several tips and exercises that a person can implement to reduce snoring, including, but not limited to losing weight, quitting smoking and others. The important thing to remember is to correctly identify the cause of the problem. Snoring can be a symptom of sleep apnea, which is an affliction that must be treated differently than regular snoring, and requires medical assistance. It is commonly shortened to EPAP, which means creating gentle pressure in the throat of the person that sleeps, to open up the airways that have been blocked. The expiratory pressure method has been specifically designed to combat airways blocked by extra tissue in the throat and nasal passages. This method has been cleared by the FDA, as well as proven with clinical tests. It reduces snoring down to 76%. This method can be used on the nose as well – by inserting strips which will cause the positive pressure and clear the airways. Exercising the muscles in the throat and the tongue will strengthen them, make them less floppy. Exercising the tongue will ensure that it will not fall backwards into the throat and cause snoring. One of the reasons why elder people snore is because of age. The muscles lose their strength and become loose. This causes the muscles to flutter and vibrate under the pressure of the air as it flows through the airways of the nasal and throat passages, causing snoring. This can be avoided with tongue and throat exercises. There are several different exercises that can be used to strengthen these muscles and ensure they don’t swell, flutter and fill up the airways. Most of these exercises have been recommended from doctors to patients that don’t need to undergo surgery to reduce their snoring. Protruding the lower jaw over the upper the jaw, teeth showing. This position of the jaw shouldn’t be held more than 10 seconds. It can be repeated ten times during the day. The tongue can be strengthened by saying tongue-twisters several times during the day. Another tongue exercise is putting the tongue out, then moving it left and right, touching the corners of the mouth. This exercise should be done no more than two times during the day. Drinking alcohol, sleeping pills, and other tranquilizing medications can have a serious effect on the muscles of the throat and nose. Alcohol and medications make the central nervous system slow down even more during sleep, and that will, in turn, cause the muscles in the throat and nose to release way too much and block the airways, causing snoring. If a person is an excessive user of sleeping and tranquilizing medications and alcohol, it might be the reason why they are snoring. A good method of preventing snoring, in this case, is avoiding drinking alcohol or other medications at least two hours before sleeping. This way, the muscles in the throat and nasal passages will not extend so much and will not block the airways. As previously stated, allergies can cause congestion in the person’s nasal and throat passages, blocking the airflow and causing snoring. A good way of preventing is visiting an allergy specialist and getting allergy remedies. Allergies can be caused by many things, and a very common cause of irritation can be dust and dust mites, so keeping a clean bedroom and replacing the pillows every few months will aid in preventing snoring. Smoking can be a leading cause in causing snoring. It irritates and inflames the upper airways of the nose and throat. Smoking is also a great health hazard, and long term smoking will not only cause snoring on a night-to-night basis, it can also cause serious overall damage to the human body. Needless to say, quitting smoking has a great amount of benefits. Planning a sleeping routine and setting up a time for going to bed and waking up has great benefits and will help promote a healthy lifestyle. It will create a biological sleep-wake cycle, which will make the body and the mind get plenty of nighttime sleep and proper rest. This helps prevent snoring, because over-exhaustion can lead to a deeper sleep, which can affect the throat, and cause snoring. Getting a good quality sleep and rest is arguably one of the best natural snoring solutions.